Mme. Alfred Carriere at Mottisfont Abbey in England. You’ve pruned a few shrub roses and now you are ready to try your hand at pruning a climbing rose. With pruners in gloved hands you bravely approach your climbing rose that has been growing willy-nilly all season long. Standing there, peering up at this mess you think to yourself – where do I even begin? Understand the difference between main canes and laterals and you’ll be on your way. Feat not. It’s simpler than you think. All you have to know is which canes are main canes and which ones are laterals. The difference is simple. The main canes come from the base of the plant and form the structure. You do not cut these back by more than one third. The laterals sprout off the main canes and you can cut them back to within twelve inches of the main cane. Here are a few simple rules of thumb for you and after you read them we suggest you watch the videos below. As with shrub roses start by pruning out the dead wood. Makes it easier to see what’s left. Next, prune out weak and twiggy growth. Start with one of the main canes and just work your way up from the base cutting all the laterals back to within twelve inches of the main cane. You’ll be amazed how much growth this takes away – making it easier to see the structure. Keep cutting back those laterals until you are done. Once finished you can spend a little time retying the rose to get if ready for next spring. 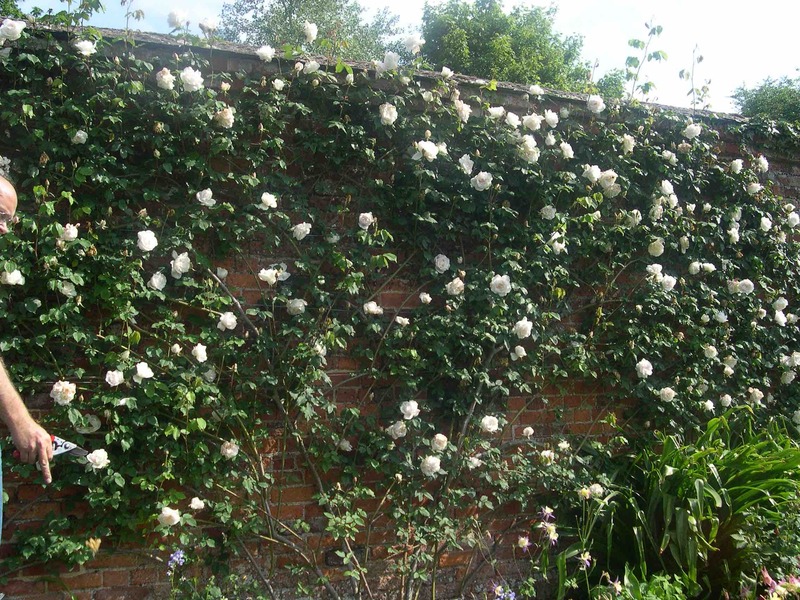 For tips on that go to the section of the website on training climbing roses. Here’s another little tip. To keep that climber tidy all season keep trimming the laterals back to within twelve inches of the main cane after each bloom flush. That will keep it from snagging your clothes when you walk by! Lastly as with shrub roses, every now and then you will want to cut out an old bloomed main cane at the base to rejuvenate new growth. It’s scary at first but come spring you’ll see why it makes sense.